With our Gracia Live Sessions at BLACK SMOKE ANTWERP we want to provide a live and (un)plugged stage and stepping stone to foreign emerging artists who deserve recognition. We want to give them the opportunity to develop themselves and to introduce them to the Belgian music scene. From now on, the Live Sessions will be an established value! Keep an eye on our calendar for all the latest updates on the rising stars we will be showcasing! Dark Rooms is a Los Angeles-based quartet formed by film composer Daniel Hart – Daniel has composed for top films such as The Old Man and The Gun, A Ghost Story, Pete’s Dragon and more. 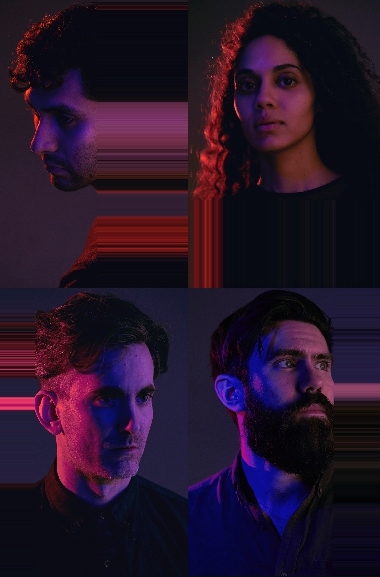 Dark Rooms released their sophomore album Distraction Sickness in September 2017, with “I Get Overwhelmed” heavily featured in last year’s breakout film “A Ghost Story“. Musically, the band explores the territory between experimental R&B, contemporary classical, and ambient soundscape. It inhabits a similar world as Little Dragon, Perfume Genius, Four Tet, and Son Lux. Dark Rooms is touring Europe and the UK in October 2018, in support of Distraction Sickness. On their October 2017 Europe/UK tour, Dark Rooms played London’s Hoxton Square in their first UK show ever followed by Oslo, Copenhangen, Paris and Rotterdam. AND WE’RE BACK!!! A lot has happened since we spoke. We said farewell to friends and hello to a new one. We’ve written new songs. We start touring in England in May, and will be back in Berlin by June. We have more shows booked than ever before. We are ready to get back on stages in England, Scotland, Germany, Switzerland, Belgium and Croatia, with more to be announced. We will have a full tour schedule up soon. In the meantime brush up on the old material on Spotify, and brace for the new. Oh yeah… and our album will be out. We can’t wait to show you what we’ve been working on. This year is going to be the year of the Other Animal. 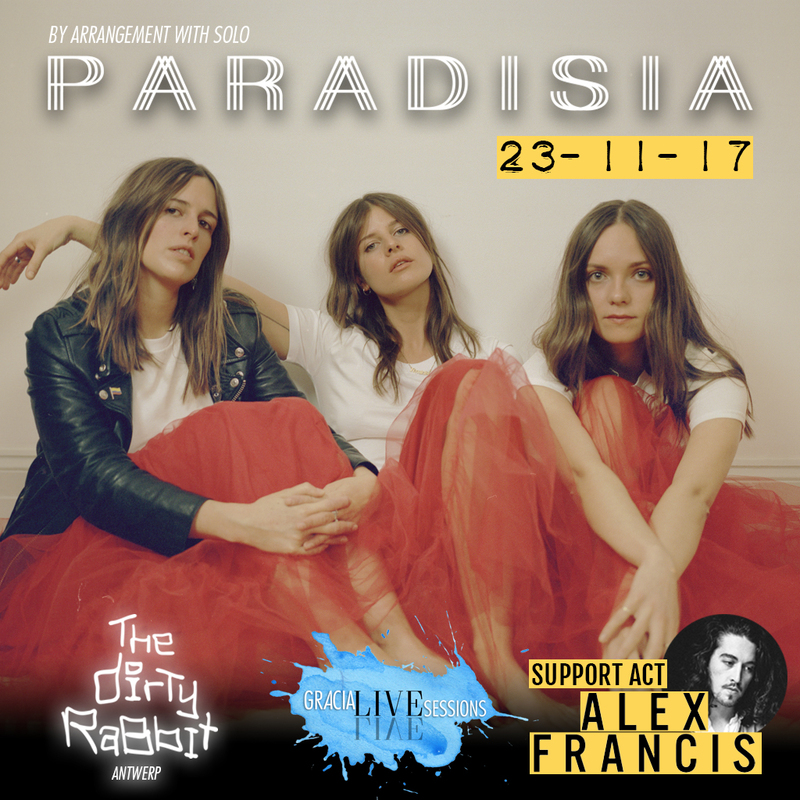 Paradisia is Sophie-Rose Harper (vocals), Anna Pesquidous (harp) and Kristy Buglass (vocals, keyboard), a London based 70‘s-influenced trio that combine beautiful vocals and lyrics against the delicacy of a harp to create a personal sound that is all their own. 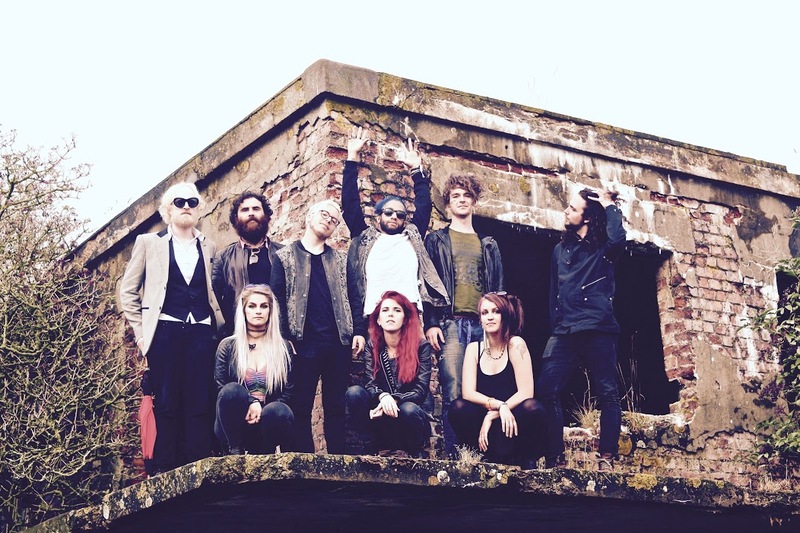 They have supporting the likes of Starsailor, Paolo Nutini and Bruce Springsteen in Hyde Park. Paradisia spent time in Berlin to record their debut record in 2015 and chose their cover of Springsteen’s Dancing in the Dark as their debut single. Of the track, the band says ‘it’s a beautifully written song and slowing it down was our way of bringing attention to the lyrics, so we wanted to show the beauty and sadness of them with our own interpretation’. With relatable lyrics that draw inspiration from personal experiences, Paradisia is a world in to which most can escape. Xander and the Peace Pirates are a testament to musical integrity and personal strength. Combining soul, blues and rock, their pervasive blend of inspired song writing and memorable performances has already seen them enrapture audiences from around the world. 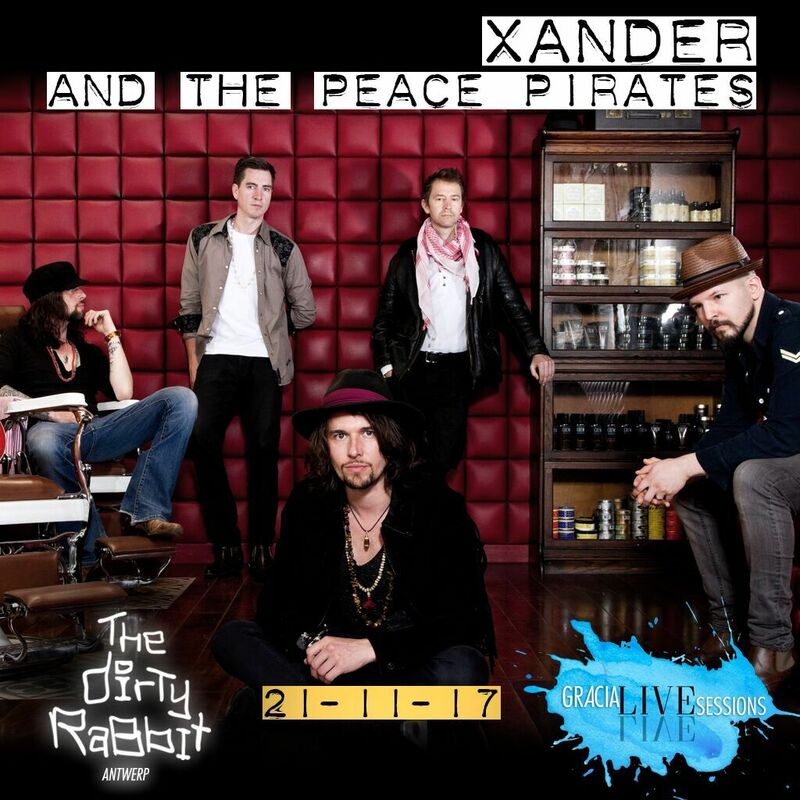 With haunting riffs, ingenious melodies, and a uniquely infectious charisma, Xander and the Peace Pirates continue to share their musical passion to standing ovations, while spreading a universal message of peace, love and harmony. On top of all that, defying all expectations, lead singer and guitarist Keith Xander was born without a right arm below the elbow and plays guitar using a prosthesis and hook with a pick attached at the end. The band established themselves as a live-performance juggernaut after concluding their 5-year tenure as the resident band at Liverpool’s iconic Cavern Club pub and going on to support the likes of Joe Bonamassa, Joe Satriani, Manfred Mann’s Earth Band, The Temperance Movement, ex-Whitesnake’s Bernie Marsden and Bon Jovi to name a few. Organically formed, South Coast Band, Wild Front, aim to pair the unrestrained emotions of music with the capricious nature of life. It came as no surprise when the band formed, as the 4 had been musically working together for years. Although 80’s rock and alternative indie is a love they all share, their primary musical influences are so different. Jack offers his love of folk and Josh studied classical music at university, whereas Mike and Joe’s musical repertoire ranges from West Coast hip hop to indie folk. It’s this exotic mix that creates their unique and distinctive sound. 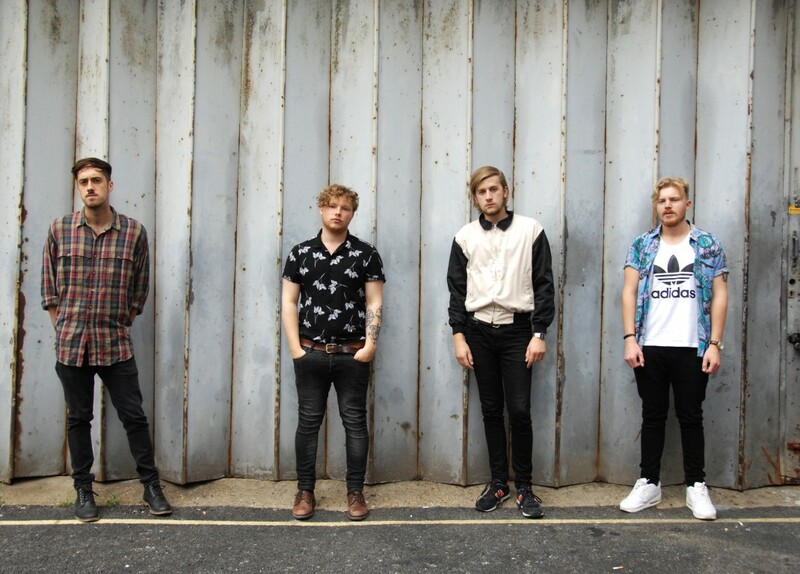 The band have self-released 3 singles this year, all of which have had support from Radio 1 and BBC Introducing and been added to numerous Spotify playlists, surpassing 225,000 streams. The band write, record, engineer & mix all of the tracks at their home studio. -They will headline the Bimm Brighton Stage at the Great Escape on May 18 , They are booked on many UK Festivals this summer amongst other… Isle of Wight ! PAT DAM SMYTH’S debut album ‘The Great Divide’ was hailed as a modern masterpiece in his native Northern Ireland and received critical acclaim further afield. Born and raised on a farm in Northern Ireland from Irish and Greek roots he moved to London, via Dublin, Liverpool, Athens and Los Angeles. 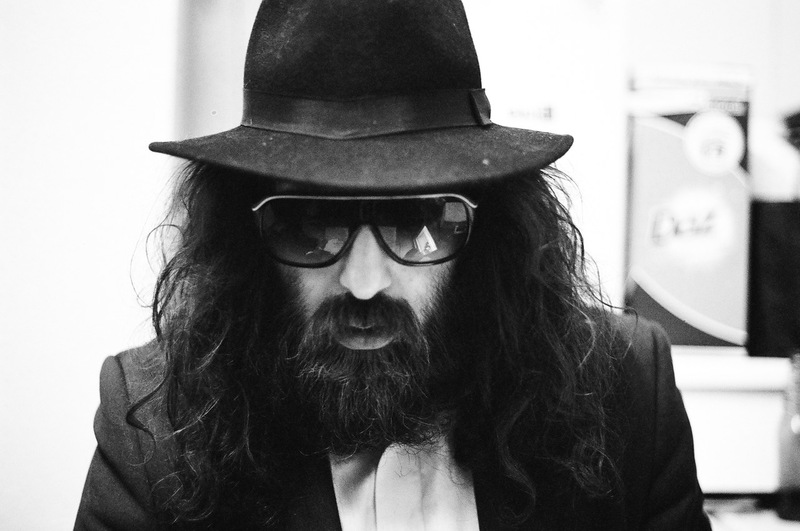 His music falls somewhere between John Grant, Leonard Cohen, Father John Misty and Nick Cave, and his ability to distil his raw authenticity into a mixture of world weary low vocals, and those soul-searingly high moments is winning him an army of fans both inside the industry and out. A leading light in a new wave of exciting Northern Irish artists, Pat is already being cited as an influence peers. 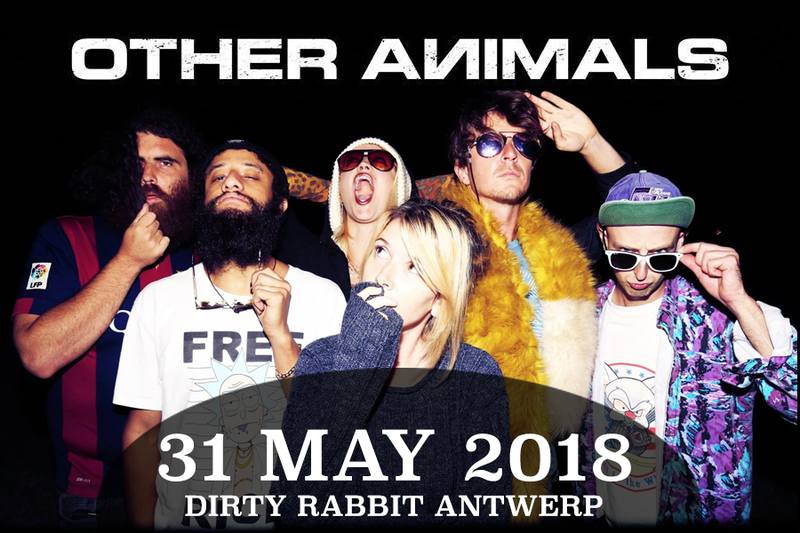 Other Animals are the Australian 9-piece that left Melbourne, arguably the country’s (and possibly the world’s) greatest city for live music, to relocate to European pastures. Fast forward to late 2016 and the band have finished their debut album: a gargantuan rock opera that underlines the bands eclectic experience in songwriting. The flute, horns, strings and percussion are pure icing. Delicious, indulgent and probably bad for your teeth.